Welllll just in time for the Holiday season — here comes the first ever Infinity Cat eBay sale. 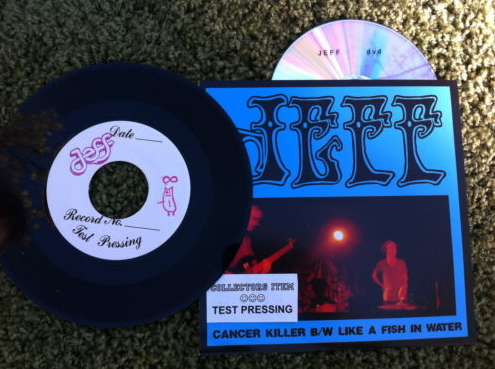 Ever wanted a test press of pretty much anything that’s come from ICat? Never managed to pick up that Cancer Killer 7″? Waited too long to pick up your copy of Boys R Back In Town? Ever thought, “Man, I would kill to own that big red blanket monster thing from that one Be Your Own Pet video” ? Well, now is your chance to jump on some Infinity Cat products that you’ll likely not see again [or atleast not for a while] Products range from signed backstage passes to the metal plates for JEFF’s We Are The Champions. Pretty wild. Something to definitely keep in mind when you’re bidding is that 10% of all the proceeds are going to help the Souther Girls Rock and Roll Camp. That’s something we can get behind. If anyone’s looking to get us something — our pick is the MEEMAW test press. Thanks buddies. Check out everything for sale here.